Dutch authorities have reported a surge in illegal Albanian migrants trying to reach the UK by sneaking onto ferries. 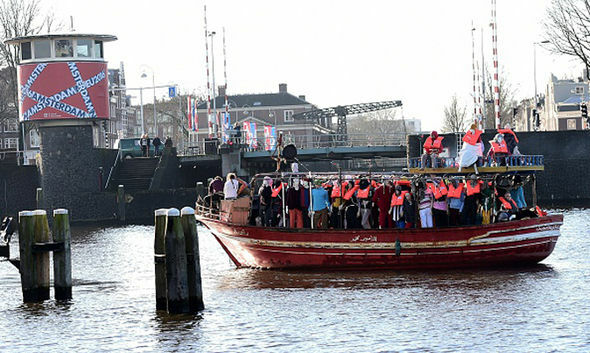 In the past few months, several hundred were caught in the ports of Vlissingen, Hook of Holland, Rotterdam and IJmuiden – which have direct crossings to England. It is not known how many others succeeded in reaching Britain. While the total number of migrants caught – 440 in the first six months of the year – is similar to the 2016 figures, the number of Albanians included has rocketed. Dutch paper Volkskrant, says 92 per cent of illegals trying to reach the UK from Holland are Albanian. Migrants who are caught are given a notice revoking any right to residence in the EU, and told they have to leave the Netherlands within days. However, in practice, they are not deported, which means they try time and again. Port city residents are unhappy at rubbish and other nuisance created by the migrants. Police do fine people for sleeping in the open, but have no resources to do anything more. According to Eurostat, nearly 25 per cent of all asylum applications in 2016 by Albanians were granted in the UK. To discourage Albanian migrants from coming to the Netherlands, the Dutch Ministry of Safety and Justice started an information campaign in Albania in July.